In recent years, several influential commentators have stated or strongly implied that the advanced industrial democracies are today being overwhelmed by a host of problems - including rapid population growth, the breakup of multi-ethnic states, environmental degredation, and increasing economic differentials between the "developing" and "developed" worlds - for which no effective solutions are at hand. The migration-inducing potential of these post-Cold War developments has been a particular source of concern. This volume provides a counter-catastrophic view of developments and a more sober and balanced assessment of the challenges the United States and other industrial democracies face in the sphere of international migration than that offered in recent years. The first part is devoted to a diagnosis of the problem, revalution of the notion of a "migration crisis" by examining the likely consequences of population growth, environmental degredation, and political conflict in the developing and post-communist worlds. Special attention is also given to the manifestations of these forces in the western hemisphere where they may have direct consequences for immigration to the United States. 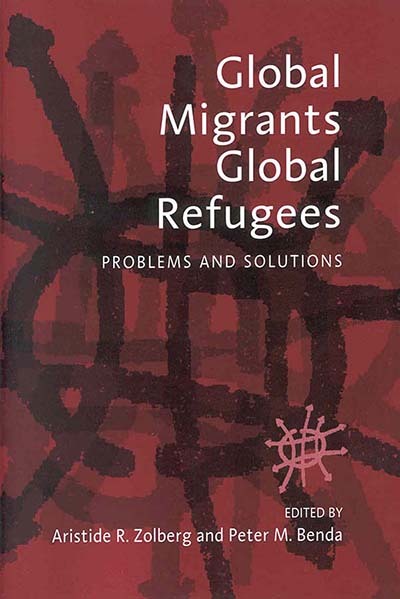 In the second part the implications for U.S. policy are considered, ranging from promotion of democracy and development of strategies for minimizing international migrations and refugee flows to the intricacies of humanitarian relief and intervention when preventive measures prove ineffective. Aristide R. Zolberg† was Professor of Political Science and Director of the International Center for Migration, Ethnicity, and Citizenship at the Graduate Faculty, New School University, New York. Peter M. Benda† was Associate Director of the Center on Policy Attitudes and the Program on International Policy Attitudes, Washington D.C.